BellaBeat Leaf Nature is an advanced device, which is used to monitor how your outward actions will impact your internal health. The device is fitted with multiple sensors that helps to track body activities and link them to an app on your smartphone. This device tracks multiple features in your body that affect your body health. The device is very sensitive and it is able to track small changes that take place in your body. It can monitor how your body handles stress, the sleep pattern and various physical activities. This device can also be used to track reproductive health and menstrual cycle. The information collected using this device can be brought to a doctor, making it easier to track your health and keep it in check. This device is made into a smart jewelry, which is readily available for ordering from the official website. When you order this product, you are going to receive double wrap bracelet either medium or small size, a silver chain that is linked with the device but it is used as a necklace and a tool, which is used to change battery. For this device to function and collect the required data, you are supposed to link it to an app downloadable from the smartphone. The multiple sensors on the device are used to track every move in your body, enabling you to have a closer monitoring of your body health. The device is active taking your health data, and it will give a full profile of your health. This device is unique and is able to tell when the user is sleeping, working out or meditating. This makes it easier for the user to review the health data tracked on the device, to know how it is influencing your physical health. The app will record all the daily activities, making it easier for your doctor to review your health. 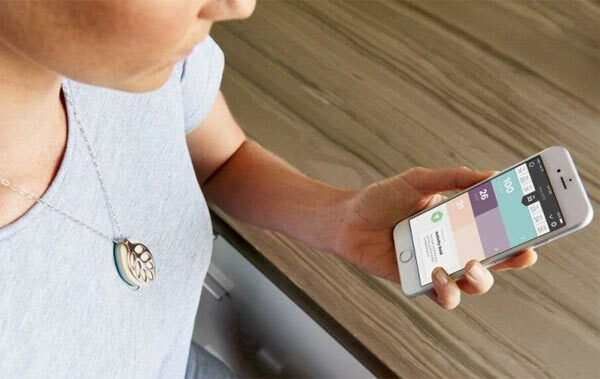 The device will send you alerts on the possible causes of stress and warn you of any danger. How To Use Bellabeat Leaf Nature? This device is easy to use. For you to get all the benefits, you must download an app to your smartphone. The app is linked to the device and all the information tracked is recorded on your smartphone. The chain is worn as a necklace as a chain and a bracelet is worn on your wrist. The tracking device is going to synchronize all the recorded information and automatically transfer it to your iPhone or Android device. The device has a cell battery to provide power. The battery is very strong and it can last up to 6 months. This device can be used for decoration purposes when worn as a casual bracelet or as a chain, at the same time it will be recording the information. This device is only available online and orders can be made from the official website. A full pack of this device is sold at $119.00. Shipping is free on all orders. The wristband is covered by a one-year guaranteed warranty. This device is covered by a money back guarantee of 30 days from the date of purchase. The bracelet comes in different colors and you are allowed to select the color during the time of ordering. The color can either be rose gold and silver. This device guarantees customer satisfaction, and it has provided contact information for you to reach them in the case of any question or concern. For you to access the customer care agents, there is an email address available online from the official website. There is also a form that you can fill and submit it online. 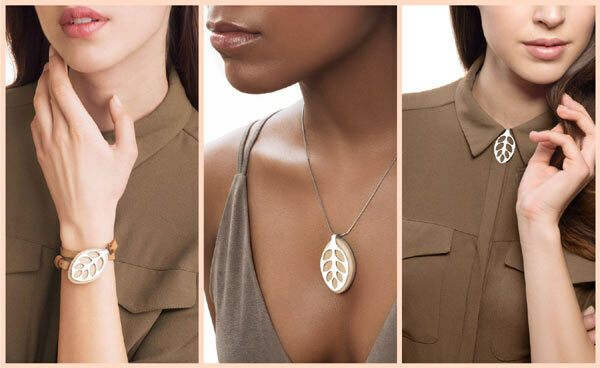 BellaBeat leaf Nature is an advanced device, which is very useful in monitoring your body activities. It is a wearable that is worn on the wrist as a bracelet, and it is linked to an app downloaded on your smartphone. The device is fitted with multiple sensors, which helps to record information and transfer it to the app on your smartphone. It is used to record various body physical activities and tell how it affects your internal health. The information recorded can be taken to your doctor, and it will be used to analyze your health and keep it in check. This device is unique as it can tell when you are traveling, sleeping or in a workout session. It can also be used to track your sleeping pattern and menstrual cycles. This device is able to sense danger and warn you on the factors that can make you feel stressed. This device is very useful in tracking your heart health. If you are interested in it, you can order it online via the brand’s website.